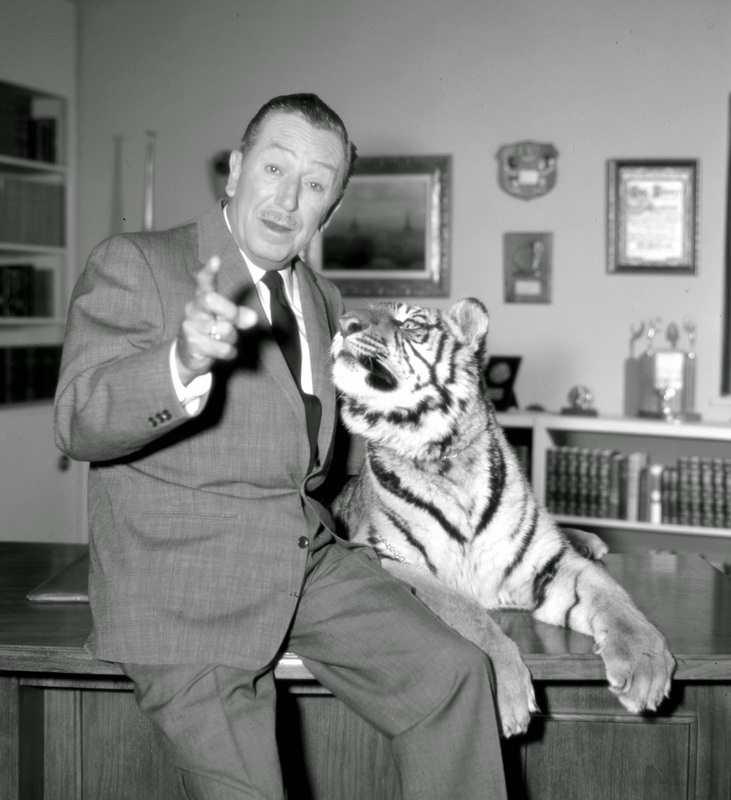 Here is a look back at Tiger characters that were part of Disney films during Walt’s life. 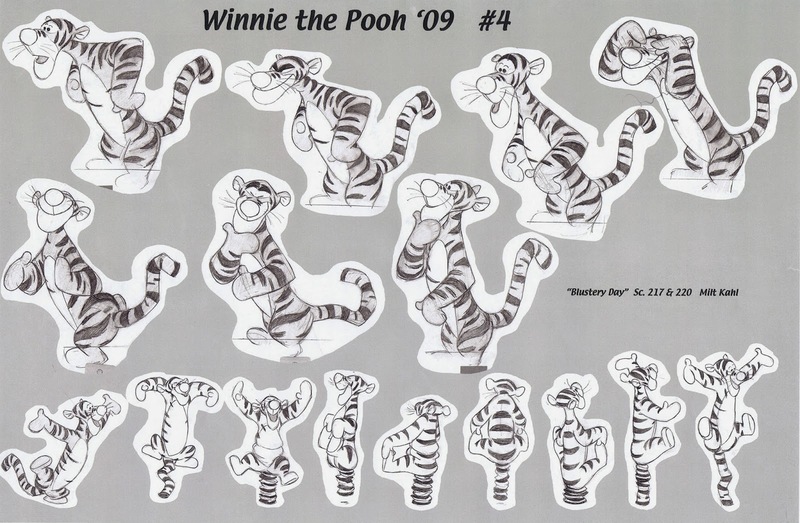 As I mentioned before, tigers are not particularly popular characters to do in animation, because of the costly and time-consuming procedure of having to add all those stripes, 24 frames per second. 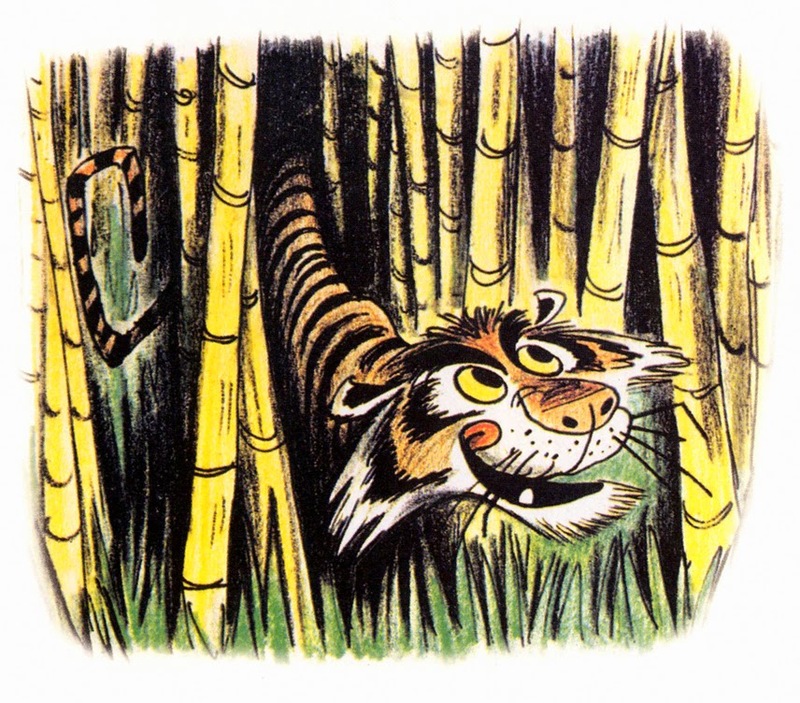 Nonetheless Disney didn’t shy away from this challenge whenever a story called for a tiger. 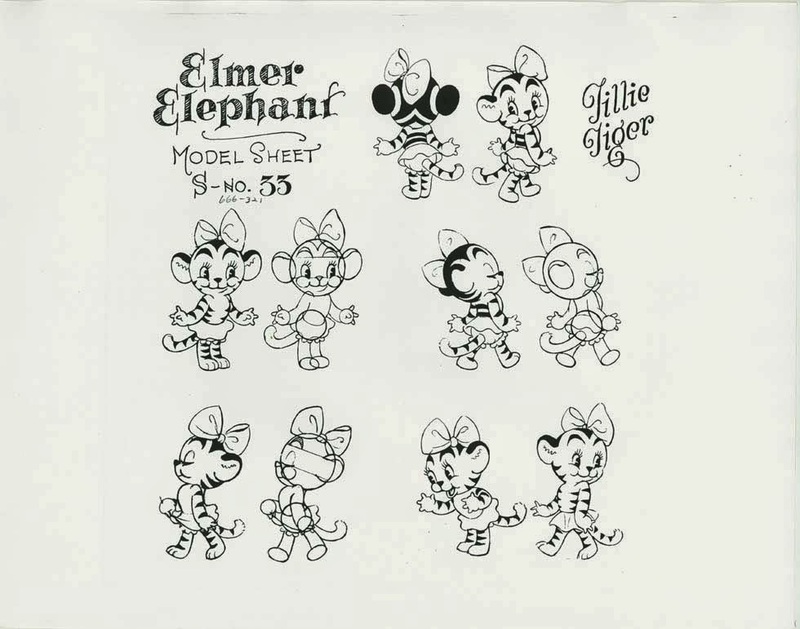 Tillie Tiger was the female lead in the 1936 Silly Symphony Elmar Elephant. After being bullied by a bunch of animal kids, Elmar emerges as a hero when he helps save Tillie’s life during a fire. 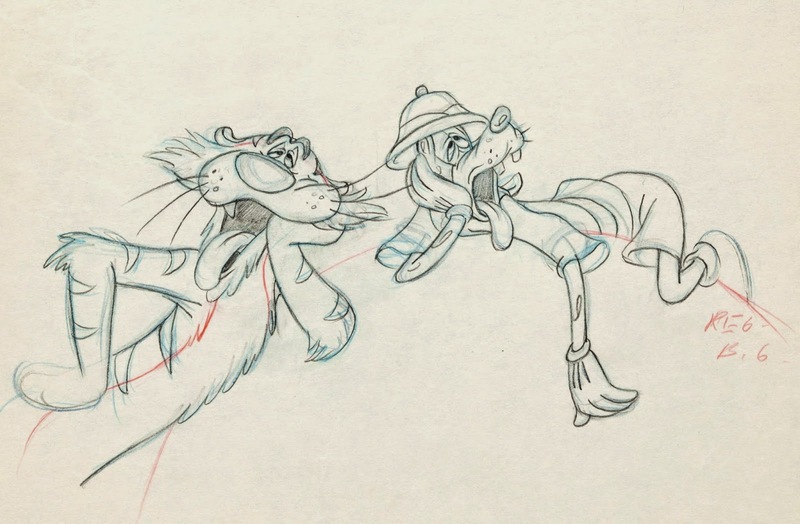 Ham Luske animated most of her scenes, a few of them were done by his assistant Ward Kimball. Beautiful innocent stuff! 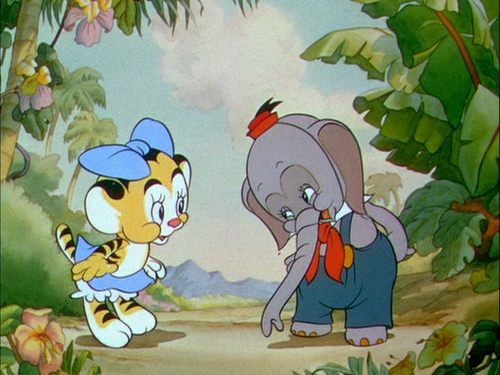 The film Dumbo featured brief scenes of a tiger family, as they travel with the circus. I love their designs, cartoony, but based on the real animal. 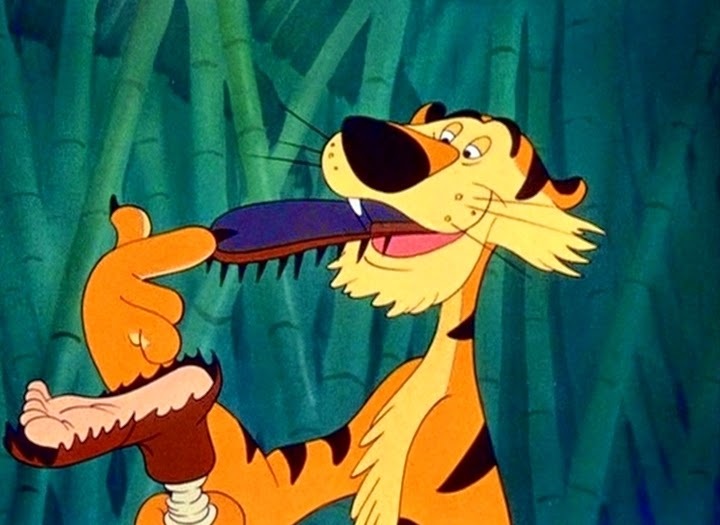 The 1945 short Tiger Trouble introduced a hilarious tiger, who enjoys pestering his hunter Goofy. 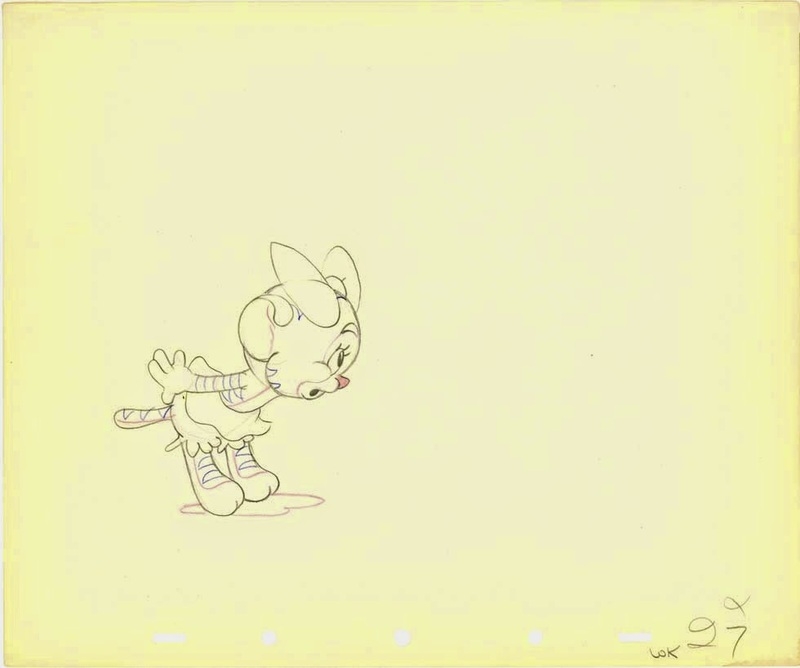 Animation by Milt Kahl, Eric Larson and John Sibley. In 1960 the studio tested the new xerox process on the short film Goliath II, in which a tiny elephant tries to avoid being eaten by a tiger. Bill Peet storyboarded the project and also illustrated the story as a terrific childrens’ book. 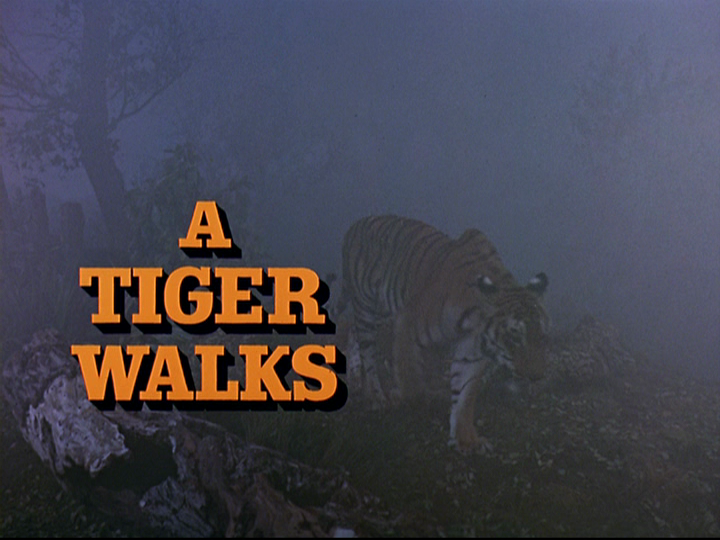 John Lounsbery animated most of the footage with this tiger. 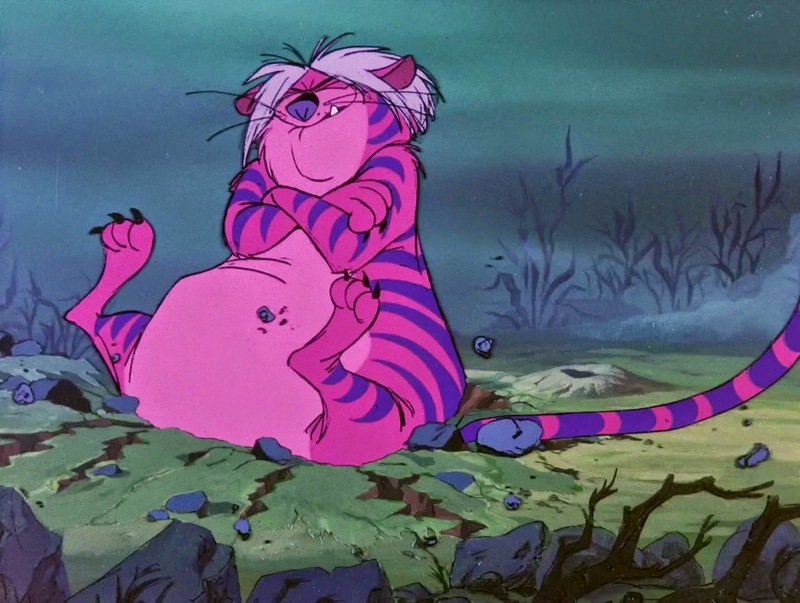 For a brief moment Madame Mim turns herself into a tiger in an effort to defeat Merlin as a mouse. 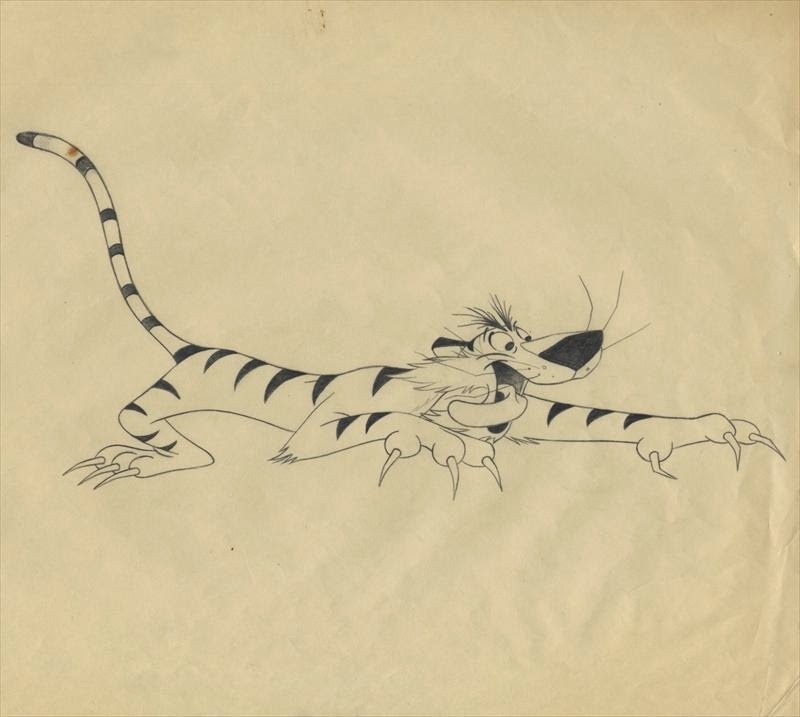 I’ve always loved this design by Milt Kahl, animated by J. Lounsbery. As you can see in this storyboard by Bill Peet, the early version of the character didn’t show any resemblance to Madame Mim yet. But what fantastic visual ideas for Merlin and Mim as they morph from one animal type into another. 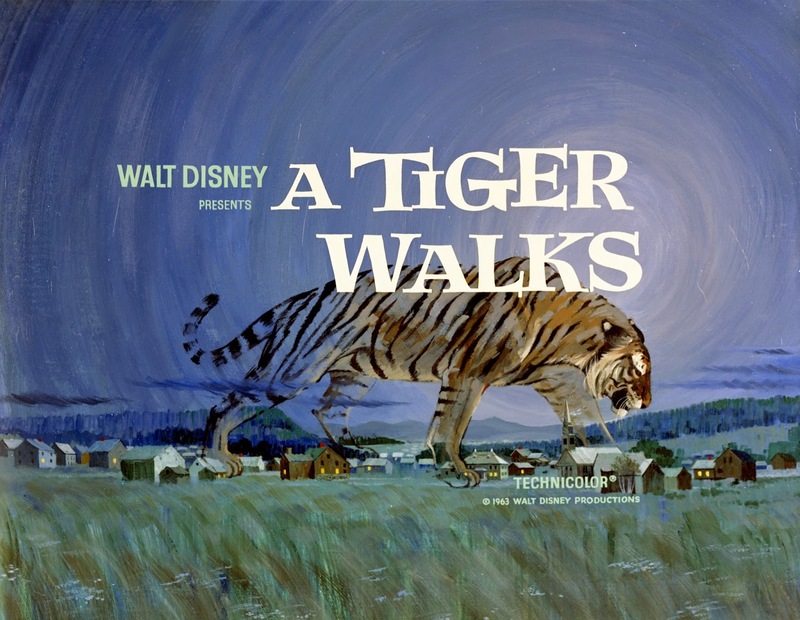 I mentioned before in a previous post that in preparation for Shere Khan Milt Kahl researched tiger movement and anatomy by studying footage from the 1964 Disney live action film A Tiger Walks. 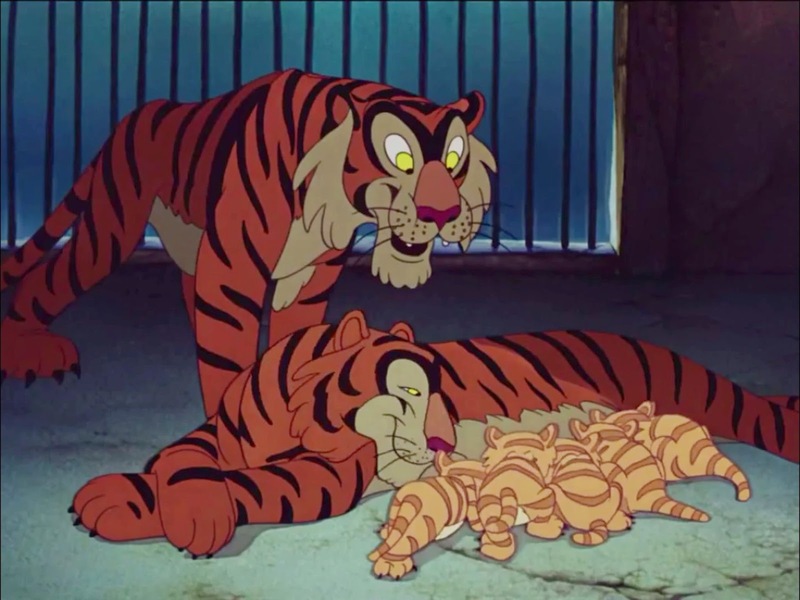 This frame from the title sequence shows clearly what influence these scenes had on Milt’s animation of Shere Khan. The tiger’s front weight is clearly on his left leg, as the other leg swings through. 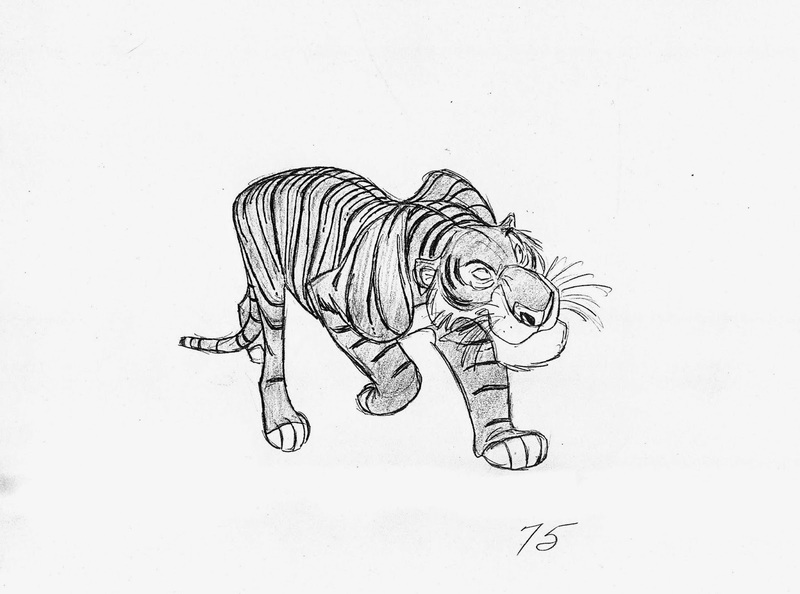 I’ve always admired how Shere Khan’s shoulders move up and down during a walk to show the shift of weight. I am not exactly sure when Mushka, the tiger will reach the screen, but we’re working on it, and the project is surely coming along, in terms of story, music and styling.